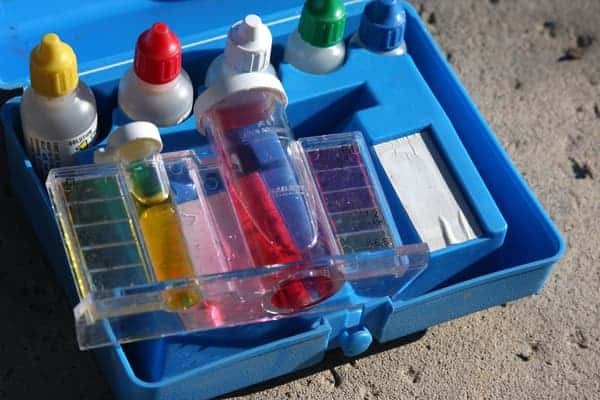 Skimming your pool and emptying all of the skimmers and pump baskets. Cleaning the pool sweep bag and filter screen. Brushing the walls, steps, and floor of your pool and spa. Vacuuming your pool and spa as needed. Each Pool Service Technician that performs maintenance will leave a door hanger at your home to let you know that the maintenance has been completed. If any repairs are needed, we will report them to you and get your approval before doing them. Our minimum service charge is $97.50 per hour. You must give a 30-day notice before canceling your contract. Homeowners are responsible for maintaining the proper water level in the pool. Homeowners must make sure that all gates are open on the day of the scheduled service so that our technicians can enter. Our technicians are not responsible for pets. Please make sure that your pets are not outside when our technicians come by to perform maintenance services. Our technicians will show up and do what they can on days when there is inclement weather. They will not use poles when there is lightning. If you need an additional maintenance visit, there will be an additional charge for it. Having swimming pool maintenance done on a regular basis can prevent problems from occurring with your pool. During routine maintenance, our technicians will check for any warning signs that there might be a problem with your pool systems, equipment, or parts. Taking care of these problems early prevents them from becoming major repairs down the line. For a low price of just $35 per visit (plus sales tax and chemicals), our technicians can ensure that your pool is in top condition all year long. Swimming pools need to be cleaned on a regular basis to reduce germs and ensure that debris doesn’t build up. Your pool’s filtration system handles some of this for you, but the skimmer basket and other parts of this system need routine cleaning. There are also other tasks that need to be done to keep your pool in good condition. The experts at Summerhill Pools can provide you with swimming pool cleaning and care services in Dallas, which can save you a considerable amount of time. 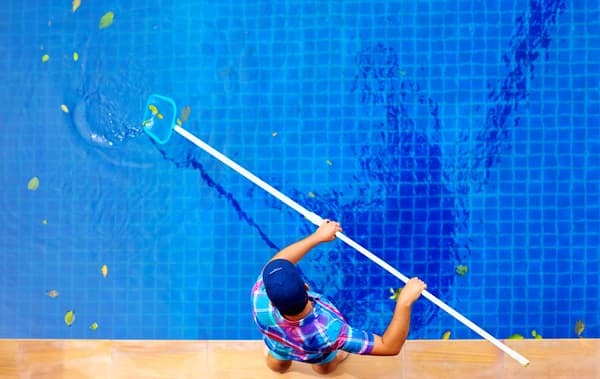 When our pool technicians come to your home to clean your pool, you can expect high-quality service. Our pool technicians will balance the chemicals in the water to help prevent corrosion or scaling from damaging your pool. Our technicians will also visually check the pump and heating system, along with other parts of your pool, to ensure that everything is working the way it should be. Caring for your pool on your own can be a time-consuming experience. If you’re not sure how to do maintenance tasks properly, you could also miss or cause problems. Having professionals handle pool maintenance for you ensures that your pool continues to run smoothly. When you need to find quality pool maintenance services in Dallas TX, give the experts at Summerhill Pools a call. At Summerhill Pools, we have a team of knowledgeable technicians available who provide reliable pool services in Dallas. If you would like to know more about our maintenance services, contact our team. Our technicians are happy to answer any questions you may have.